While a lot of the talk and market share is devoted to WordPress, Drupal is seen as more powerful and offers more security and customization options than WordPress. Some of the biggest sites in the world run on Drupal, including London Gatwick and Sevilla Football Club. If you’re running a Drupal site in Ireland or throughout the EU, how will you find the right Drupal hosting company? Read on to discover what you should look for in a Drupal host and why you should keep it local. Is it time to change your website host? You may be tempted to sign up with any host because they all seem the same. The reality is much different. There are thousands of hosting companies and some are much better than others. How can you spot the differences? Use the following tips. It can be a complicated task to install Drupal on your host’s server. Usually, you’d have to install it through FTP. Other hosts allow you to install Drupal with a single click. With Softalicious, you can install countless apps like Drupal without headaches. Drupal is a little different from other content management systems because it usually requires more resources from the server to run. It all depends on the site you’re planning to build, but you want to ensure that the host’s servers can handle what you have in mind. Even with a small site, you’ll want about 2GB of RAM and 10GB at the very least to give your site plenty of breathing room. When you’re looking at Drupal hosting, reliability matters. Sure, your hosting company will take servers offline for maintenance. That’s fine. More than that can spell trouble for your business. As more people are looking up your business online, you want to make sure that they can access the site when they want to. If your site is down because of your host, it could cost you business. Look for a provider that has 99% or 99.9% uptime. No one could guarantee 100% uptime. If a provider does guarantee 100% uptime, treat it with caution. The biggest difference in hosting companies is how they handle technical support. You’re dealing with technology, so the chances are good that you’ll have an issue at some point. The hosting company should have 24/7 support either through email or live chat. Ideally, they’ll have a phone number and office hours to call for additional support. Why Keep Your Website Local? When you’re looking for Drupal hosting, you’ll find that there are hosting companies all over the world. It’s time to evaluate why it’s better to choose a hosting provider in Ireland and keep it local as opposed to going elsewhere. Speed can have a huge impact on your business. Your visitors have very high expectations and they expect their site to load quickly. According to some studies, if your site doesn’t load in three seconds or less, you’ll lose about a third of your audience. Site speed also affects the cart abandonment rate, so you could be losing a lot of business and not even realize it. That’s not all. Google recognizes that site speed matters to its users, so it will use site speed as a ranking factor in search results. What does all of this have to do with Irish businesses sticking with an Irish website host? A lot, actually. When someone visits your website, they’re really requesting a lot of files from your website host. Your website host will serve those files which form a website on your screen. Let’s say that you decided to go with a website host in the U.S., but most of your customers are in Ireland or the EU. That request from your visitors has to travel to your website host in the U.S., then those files have to travel back to your site’s visitor in Ireland. That can delay your site’s loading time. It may seem like nothing because it’s only a couple of seconds. As you can see, even milliseconds count when it comes to website speed. As you learned earlier, customer service is going to be a major factor in deciding between web hosting companies. You want to make sure that there’s some kind of 24/7 support, and there are office hours where people are available to speak with. You don’t want to wait half the day for your hosting company to get into the office to speak with them. Being in the same time zone as your hosting company makes it much easier to access support on your schedule. One of the biggest reasons why companies in Ireland and throughout the EU should consider an Irish Drupal hosting company is security and privacy. After all, you are probably using Drupal because it’s more secure than other content management systems. Shouldn’t your web host offer strict privacy and security hosting standards, too? Compared to the U.S. or the UK, Irish privacy laws are more strict. They’re overseen by the Data Protection Commission. 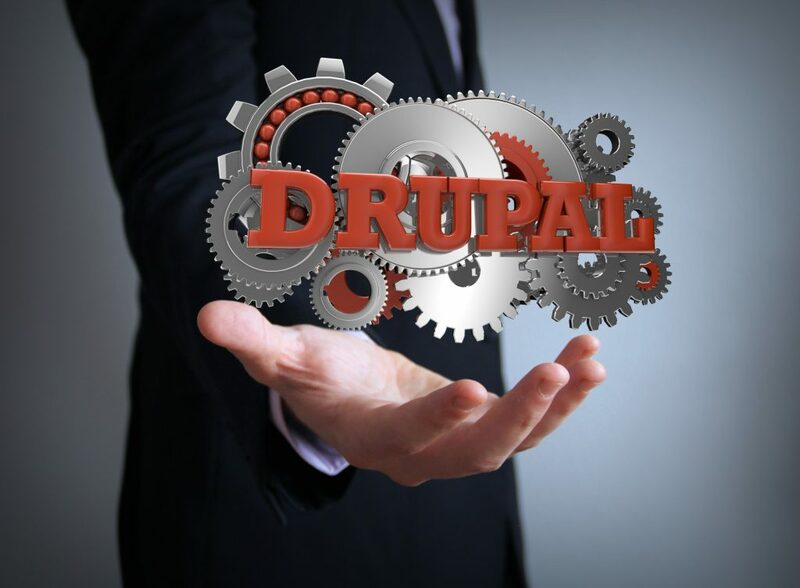 Using Drupal as your content management system offers a lot of benefits to developers. It’s known to be more customizable and handle more complex tasks that most systems weren’t designed to do. Finding a Drupal hosting company who can handle your projects with ease can sometimes be a challenge. You want a provider who offers outstanding service and is local. A Drupal host based in Ireland can help you serve your customers faster, keeping them happy. Are you ready to sign up for your Drupal hosting plan? Take a look at our hosting plans and get started.